Bruce Albright and his wood pile. 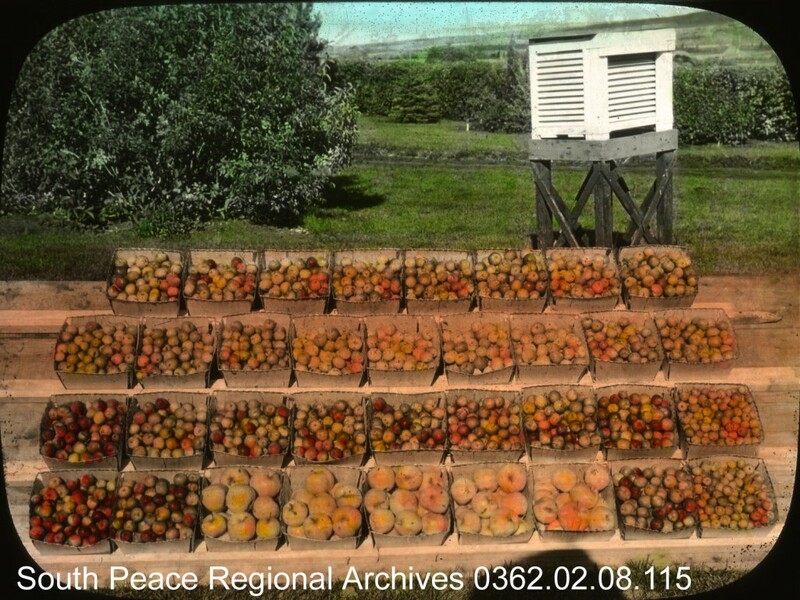 A lantern slide show originally created by W. D. Albright of the Beaverlodge Research Station in 1937. Narration telling Albright’s story was added by South Peace Regional Archives. A small portion of the script – The Beaverlodge Research Station was founded by William Donald Albright, who began conducting tests in 1914. 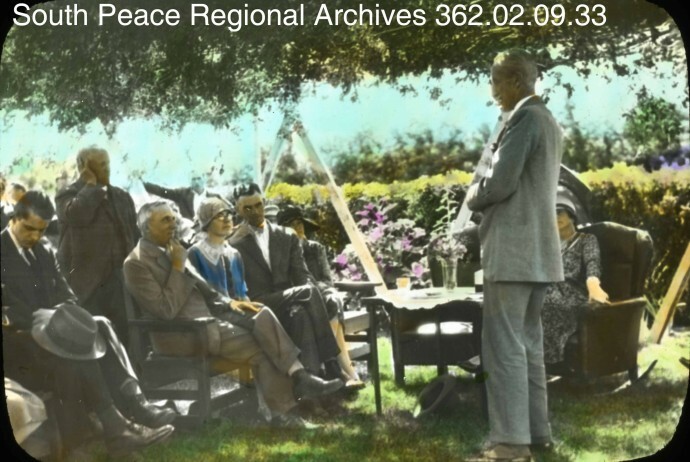 He spent many years touring the Peace Country with his collection of lantern slides and giving talks on a variety of topics. Many of the photographs were taken and hand-tinted by Albright himself. 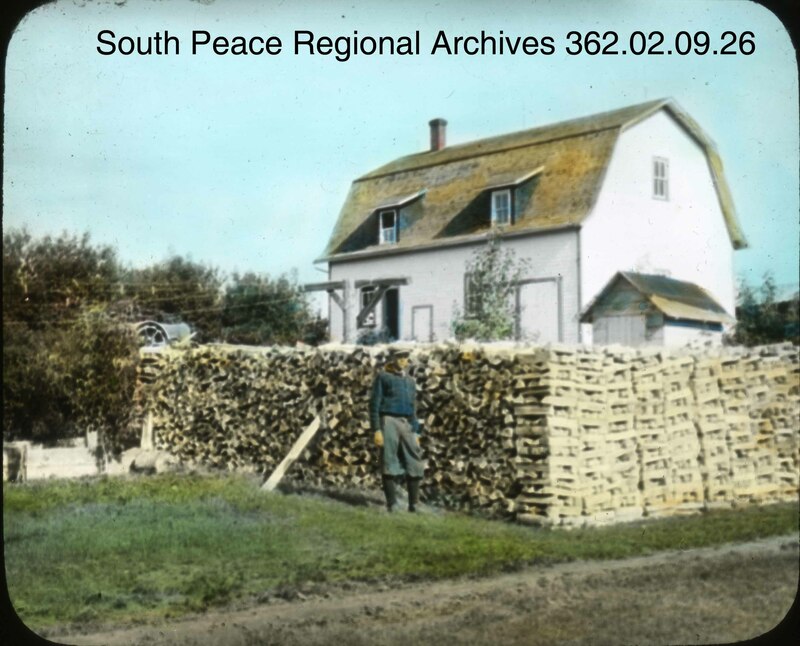 The slides were preserved at the Research station for many years before being taken to the South Peace Centennial Museum in Beaverlodge, then to South Peace Regional Archives, where they now have a permanent home. 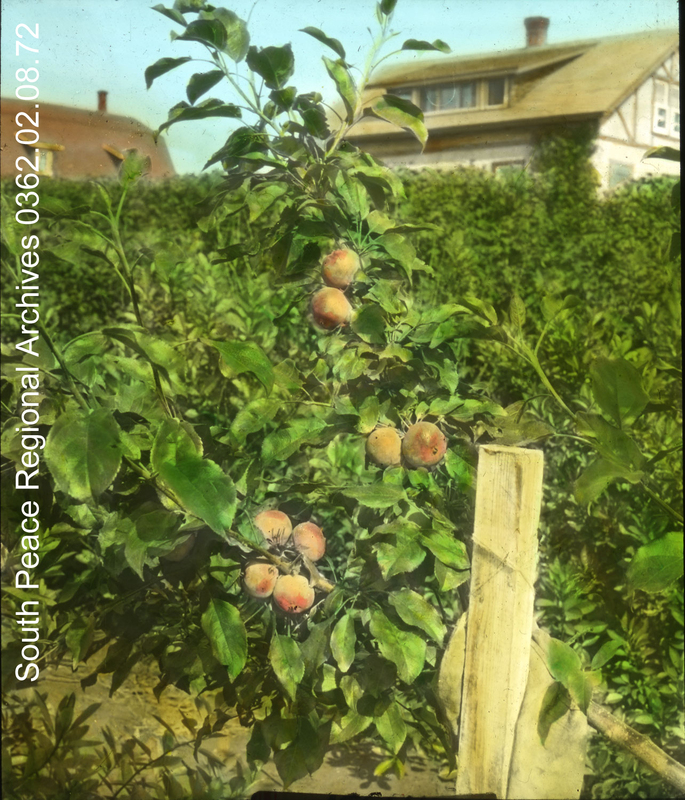 In honour of the 100th Anniversary of Albright’s first experiments, the Archives has recreated this lantern slide presentation, originally entitled “Homestead Days” using a slide list dated November 4, 1937. Although some of the slides and the lecture notes are missing, the captions are original and we hope you will get a feel for the work of the Research Station and the passion and pride of W. D. Albright at the potential of the Peace River Country and what had already been accomplished. To view the slide show and to hear about about Albright’s life head over to our You Tube Channel ~ Homestead days. You can also subscribe to our You Tube channel to keep up with all our latest content!